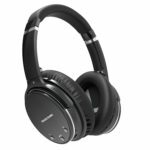 Sony has just announced the Sony WH-1000XM3 headphones at IFA 2081, and after no less than 15 hours of nonstop evaluation. We’re convinced we have another set of best-in-class in our hands (and over our ears). When it comes to what you do hear, the WH-1000XM3 can stream your favorite music via Bluetooth. The Sony WH-1000XM3 headphones also support LDAC and high-resolution audio content. When used with a compatible source device, LDAC transmits approximately three times more data, up to 990 kb/s, compared to conventional Bluetooth. 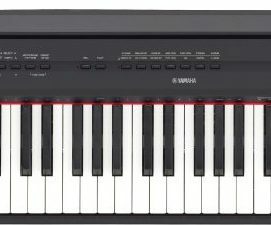 This is meant to make your high-resolution audio content sound even better when it’s played back through the 1.57″ drivers with LCP diaphragms (Liquid Crystal Polymer). 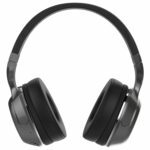 Whether you’re just looking for peace and quiet or a quiet listening experience, Sony crafted these noise-cancelling headphones to be comfortable while wearing them. 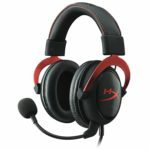 The earpads are made from soft, pressure-relieving foam urethane, and an overall lightweight design that comes in at only 9 oz. Sony’s Sense Engine and Adaptive Sound Control technology and designed give you a smarter set of noise-cancelling headphones. They automatically adjust the level of cancellation based on your activity. If walking or waiting, they will adjust to help you be aware of your surroundings and hear announcements. While traveling, it adjusts to help keep you from being disturbed. When flying, unique atmospheric pressure optimizing adjusts to help deliver optimal sound at high altitudes. This feature (Personalized NC Optimization) designed to auto adjusts based on your head size and hair type. Whether you are wearing glasses. Everything is at your fingertips. Answer hands-free phone calls with a double tap – or change tracks, adjust the volume and make calls by touching or swiping the panel. And help from your phone’s voice assistant is just one long press away. Regardless of the level of noise-cancelation, the Quick Attention features let you quickly hear your environment, whether it’s to hear an emergency announcement or have a quick conversation. Simply place your hand over the housing of the right earcup to quiet things down so you can hear. 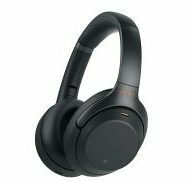 The Sony WH-1000XM3 headphones can be controlled via the Sony | Headphones Connect App for iOS and Android devices. With it, you can adjust the equalizer and noise cancellation settings to customize your listening experience. When the Sony WH-1000XM3 headphones are paired with your smartphone, you can use them to access the phone’s voice assistant. Ask it questions and have it perform tasks just like you would normally do. With a simple double-tap of the earcup, you can answer incoming calls when paired with your phone. Multiple microphones are built in to help give you clear call quality. With a huge 30 hours of battery life, you’ll have enough power for long trips away. And if you need to charge in a hurry, you can get five hours’ worth of charge after just ten minutes with the optional AC adapter. Needless to say, Sony got us very excited about its WH-1000XM3. Thankfully, it long is long before hitting the shelves, which should happen later this month. The only potential obstacle to obtaining them would be their admittedly high price of $3xx. 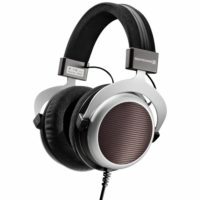 These babies sure don’t’ come cheap, but hey — all of this acoustic goodness, plus 20+ hours of continuous wireless music playback? Give us a call if you find a cheaper offer! Lighter than the previous model (Sony WH 1000XM2) just only 0.56lbs/2543 grams. Touch-gesture volume and track controls work very well. USB Type C charging port is more future-proof & easier to plug in. Useful Sony hardware & software optimizations (Atmospheric Pressure Optimizing, Personal NC Optimizer). 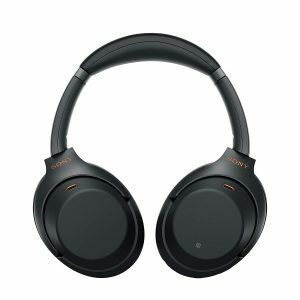 For the absolute best in sound quality and noise cancellation, I honestly don’t think there is any other product on the market that is better than the Sony WH-1000XM3 (on the same near price range). Everything is just so well-balanced — sound quality, ANC performance, long battery life, ergonomics, comfort, and app customization. Sony has created a tremendously well-executed and high-performing product.